Artwork of Jamke from Genealogy of the Holy War. Artwork of Jamke from Treasure. Artwork of Jamke from the Fire Emblem Trading Card Game. Artwork of Jamke from Heroes. The prince of Verdane. He does not carry the blood of a crusader in his veins. He turns his bow against his homeland to try to stop the war. Jamke (Japanese: ジャムカ Jamka) was a prince of Verdane, and the youngest of the three sons of King Batu. He alone remained suspicious of the influence of Sandima of the Loptyrians upon his father and brothers, and vocally opposed Batu's new-found aggression toward Grannvale. When his complaints fell on deaf ears, he was convinced by Adean of Jungby to fight back against Sandima with Sigurd's army. When Adean was captured by Gandolf and locked in Castle Marpha, Jamke broke into it and released her and Dew from imprisonment, instructing them to return to Sigurd while he tried to convince his father to stand down. His attempts at negotiating with Batu and Sandima failed, and so after Marpha's fall to Sigurd he was forced to deploy to fight Sigurd's army. Adean convinced him to fight back against Sandima to save his father, which failed as Batu died just after Sandima's defeat. Afterward, Jamke continued to serve in Sigurd's army until his presumed demise in the Battle of Belhalla. Jamke is first deployed as a sub-boss in Chapter 1, after both Marpha and Genoa have been seized. He can be recruited by Adean. Recruitment: Chapter 1, enemy, talk with Adean. Jamke is playable as a SpotPass character, released in the Genealogy of the Holy War first-generation character set. He is also an enemy unit in five DLC episodes, including the first and third of the Lost Bloodlines series and all episodes of the Rogues & Redeemers series, and is also a NPC in Lost Bloodlines 2. Recruitment: SpotPass, hire him for 6,900 G or defeat him in a skirmish. Growth rates for most bonus units are unknown at this time. Like all male bonus units in Awakening, Jamke has access to all base class and advanced class skills available to standard male units. Jamke is one of the characters added to the game in the Legendary Hero Marth: Hero-King update, and was made available to players in the twenty-third Grand Hero Battle, which initially ran from September 4, 2018 through September 12, 2018. 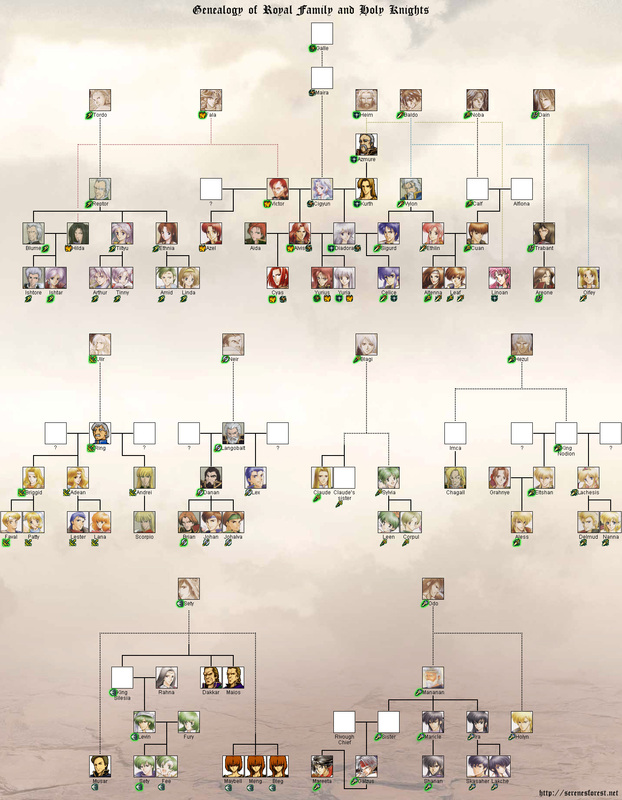 Only one variation of Jamke is currently available in Heroes, based on his Genealogy of the Holy War incarnation. In stark contrast to his brutal elder brothers, Jamke is significantly kinder and less inclined toward senseless violence, very much in support of his father's pre-Sandima policies of peace and cessation of war-mongering against Grannvale. He was not fooled by Sandima's corrupting influence on his family and sought to expose him for the treasonous manipulator he was, and while he tried his best to convince his father to cease the conflict and not listen to Sandima, he nonetheless was resigned to fighting back against Sandima when this failed. He remained protective of his father even in light of his mistakes, and allied with Sigurd on the sole condition that his father was not attacked or treated as an enemy by Sigurd's army. In Chapter 1, while Jamke is still an enemy, Adean can talk to in order to recruit him. In Chapter 4, if they are lovers, Adean can talk to Jamke, rewarding him with a Brave Bow. In Chapter 5, Dew can talk to Jamke after Lubeck Castle has been seized. This conversation gives no reward. In Chapter 5, if they are lovers, Briggid can talk to Jamke. This conversation gives no reward. — Jamke, as an enemy in Chapter 1 of Genealogy of the Holy War. — Jamke, when fighting Sandima in Chapter 1 of Genealogy of the Holy War. — Jamke's SpotPass parley quote in Awakening. — Jamke's SpotPass battle quote in Awakening. — Jamke's SpotPass recruitment quote in Awakening. — Jamke, as an enemy in Lost Bloodlines 1 in Awakening. — Jamke, as an enemy in Lost Bloodlines 3 in Awakening. — Jamke, as an enemy in Rogues & Redeemers 1 in Awakening. — Jamke, as a NPC in Rogues & Redeemers 2 in Awakening. — Jamke, as an enemy in Rogues & Redeemers 3 in Awakening. — Jamke, in Genealogy of the Holy War. — Jamke, as a NPC in Lost Bloodlines 2 in Awakening. Jamke was featured on four TCG cards. Jamke is currently featured on two cards in Fire Emblem Cipher. "If you're willing to go so far, then I'll stain my name with treason." Adept: [Trigger] [ ] If this unit's attack destroys an enemy, you may pay the cost, and if you do: Destroy a enemy. "I don't want to hurt you! Begone from this land at once!" Killer Bow: [Activate] [ ] Until the end of this turn, this unit's attacks cannot be evaded by non-lord enemies. For more detailed strategic information on these cards, see their TCG wiki article on Jamke . At an earlier stage in the development of Genealogy, Jamke was an Axe Fighter possessing fewer skills than in the final version. His change to being a Bow Fighter with more skills was prompted by director Shouzou Kaga taking a liking to Jamke as a character and improving him in terms of gameplay as a result. English Jamke As of Fire Emblem Awakening. Derived from Жамуха Jamukha, a Mongolian politician, military leader, and a friend and rival of Genghis Khan. (unofficial) Jamka Used in the Genealogy of the Holy War fan translation. Japanese ジャムカ Officially romanized as Jamka; as above. Instead romanized as Jamca in the Super Tactics Book. Jamke's portrait in Genealogy of the Holy War. Portrait of Jamke from Awakening. Artwork of Jamke: Prince of Verdane from Heroes. Artwork of Jamke from Fire Emblem Cipher. This page was last edited on 31 March 2019, at 03:32.